According to Lance Tyson, Sales is a highly competitive field. People who sell for a living often face many rejections before receiving a “yes. Coaching can be helpful to struggling salespeople, as shown by a recent Forbes article that reported many salespeople who quit cited a lack of coaches and mentors as one of the top reasons they bolted. Some in sales management see their role as comparable to a sports team coach, given the attributes required to drive success in sales and sports are similar: encouraging a positive attitude, motivating, presenting a clear strategy, insisting on dedication and breeding consistent winning habits. Lance Tyson, whose clients include the sales departments of numerous professional sports and entertainment franchises, thinks improvement in sales teams starts with how effectively sales managers coach their teams while emphasizing a competitive mindset. Identify weaknesses. Tyson says sales leaders must keep their eyes and ears open to find areas that need improvement. This information may come from a customer or vendor, a performance review, or observations from a colleague. “Regardless of the source, always assess different opportunities for coaching and improvement,” Tyson says. Provide resources. For the coaching process to be successful, you must clear away obstructions and make the appropriate resources available: time, money, equipment, training, upper management buy-in and support, Tyson says. “Most importantly, your salespeople must commit to the process and want to achieve the results,” he says. 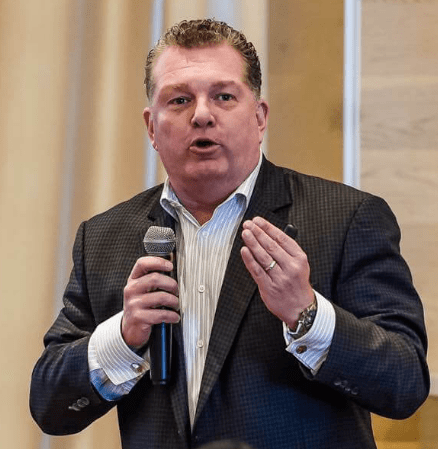 Lance Tyson (www.tysongroup.com) is President and CEO of Tyson Group, a sales training, coaching and consulting company listed among SellingPower’s Top 20 sales training companies of 2018. He is the author of Selling is an Away Game: Close Business and Compete in a Complex World. Among Tyson Group’s clients are many professional sports teams such as the New York Yankees and Dallas Cowboys. Tyson was a franchise owner of Dale Carnegie operations in the Midwest and drove them to 230 percent growth before starting his own company. He conducts over 100 workshops annually in areas such as performance management, leadership, sales, sales management, customer service, negotiations and team building.